(8.17.2014- Davenport, Iowa) - The Quad City River Bandits v. Burlington Bees. Burlington won 5-4. 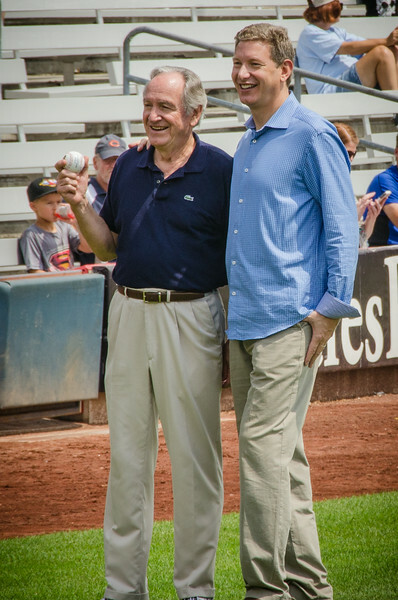 Senator Tom Harkin (left) with Quad City River Bandits owner Dave Heller on Senator Tom Harkin bobblehead day.